Liverpool have confirmed that 18-year-old winger Raheem Sterling has signed a new long-term contract with the club. Earlier this week, Goal.com exclusively revealed that Sterling was on the brink of signing a five-year-deal with the Reds. And Liverpool have today confirmed that the talented youngster has pledged his future to the Merseyside club. 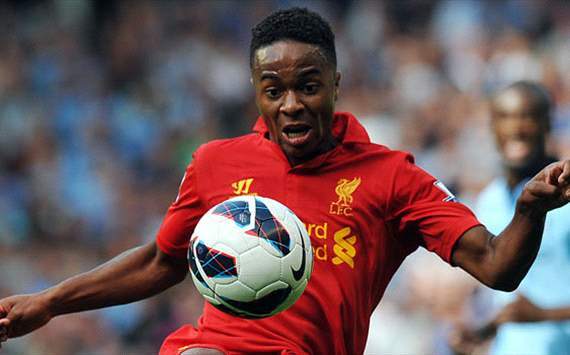 Sterling told the club's official website: "It's every 18-year-old's dream. I'm just really grateful to be at such a big club like this. "There's a lot more to be done. I haven't begun yet, as the manager has said. Hopefully I can kick on after the New Year and try to do my best for the team and the football club." Sterling was signed from QPR in 2010 for an initial fee believed to be around £500,000 and has since gone on to become a first-team regular at Anfield. Having chalked up 25 appearances so far this term, Sterling's form was impressive enough to earn him his first international call-up for Roy Hodgson's England side in November. Managing director Ian Ayre said: "This is another positive step forward for the football club in securing the long-term future of one of the country's brightest young talents. "The negotiations were very positive and both parties acted in a very responsible way to reach an outcome that benefits both Raheem and Liverpool FC." Meanwhile, Liverpool boss Brendan Rodgers has revealed that the young starlet still has a long way to go at the club, despite his promising start. "I always congratulate players when they sign a new contract and then I warn them," Rodgers told reporters. "I tell them they need to decide after this contract whether there is going to be another contract at one of the biggest clubs in the world or whether it will be at a different level. They can't rely on this contract and I make sure they know that. "He has been rewarded as a young player who, at 18 years of age, has come in and performed very well. He will never be elevated above his position here at the club, but he has been rightly rewarded and it is fantastic for the football club."